TEA AND TANGO – Christmas Event on 16th December 2018. 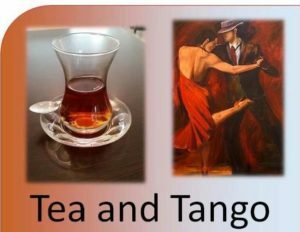 Join us for the last Tea and Tango for 2018….This is a fun afternoon of dancing, with home-made afternoon tea. Informal – all levels are very welcome as are visitors to Auckland. Your hostesses… Denise McCombe and Nicole Schouwey – Join us! Parking is easy behind the hall, free, off-street.